Aggie Sweeney: Erin and I had the joy of partnering a few years back on OMSI's Coastal Discovery Center campaign—and our firm's relationship with OMSI goes back even further. 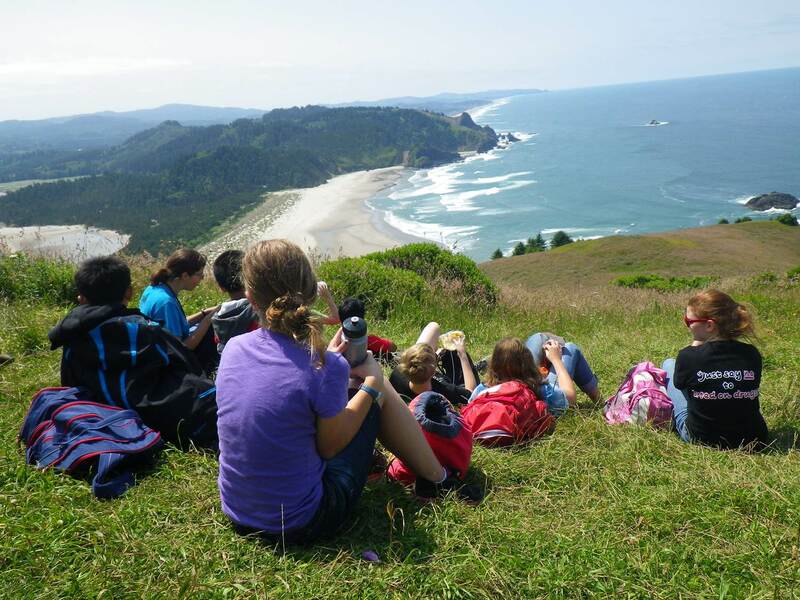 Can you start by describing that campaign: what you were raising money for, how much you ended up raising, a quick overview of the Coastal Discovery Center? Erin Graham: The CDC was a real opportunity for OMSI to create a home for its marine science programming. That was also the first campaign that OMSI had launched in more than 20 years since it had moved to its riverfront location. Not only were we learning about what was possible in growing our donor base and getting to know people in the community better, but we also had to work on our internal systems to manage a campaign and relearn how to run one successfully. We set a goal for $10 million—we actually ended up raising closer to $11 million. We successfully completed the project within a year of launching it, and the camp has now been opened for two years, and it has sold out for programming. Aggie: One best practice of successful campaigns is that they help to build organizational culture that attracts and retains talented board members and senior leadership. As OMSI was preparing for the CDC campaign, how critical was leadership from your Board to help with your fundraising success? Erin: It made all the difference, I think. Prior to this campaign, OMSI’s Board had really been focused more on operations and helping the Museum to run its annual operations in a sustainable way. This campaign represented a real shift towards a fundraising Board. And to lead that shift really required Board members being 100 percent bought in and then leading their peers. I was very fortunate at the time to have an absolutely wonderful Development Committee Chair, Walt, and he was the ultimate champion for this campaign. That wasn’t something that we had before. We put together some Board training early on to say, how can the Board engage with this? What are we really committing to? And then we had these champions emerge from the Board that I think have really fundamentally shifted the culture of the Board so that even upon completion and celebration of that campaign, we have managed to go forward with a Board much more focused on fundraising. Aggie: When we were doing the study, and we asked OMSI’s Board if they would make gifts, there were several Board members who indicated they weren’t sure if they would give or not. What changed, other than Walt’s influence? Erin: I think that part of it was the design of the campaign. The feasibility study and the understanding that the money that we could expect to raise from our existing donor base and the Board was not as high as what we really needed to complete the project. It forced us to put a benchmark in place and a date. We said if we can exceed this amount of pledges by this date and this amount of Board giving, then we will move forward with a larger campaign. If we cannot, we will need to scope and scale down to what the feasibility study said we could do. As we started getting pledges in indicating that there was donor interest and enough passion that we may be able to grow the size of the campaign, the Board gifts also started coming in. I remember the day we had set as the deadline for completing the Board campaign. There was a little bit of a gap and Walt personally went and spoke to three other Board members to join him to close that gap. It really galvanized the giving and motivated some large gifts from foundations following that. Aggie: How has the culture of philanthropy at OMSI changed compared to before the campaign started? Have there been lasting impacts? Erin: Yes, absolutely. During that campaign, we also had a campaign cabinet that had several key Board members on it and community members. We have used that model even in our current configuration. We have a special gifts task force that really helps to expand the work of the Board and the work of the development committee. We talk a lot about development and philanthropy at all of the regular Board meetings and Board retreat. There is real excitement on the Board about creating an endowment to support the mission-based activities of the Museum—which has been a gap for us. We have seen Board members step up in their giving for all of the Museum priorities since the campaign. A lot of the donors we connected to during the course of the campaign have stepped up with gifts to our current work. During the time of the campaign, our unrestricted giving actually increased. So everyone made these campaign gifts in addition to their annual gifts. We have seen that annual gift level continue to go up. Aggie: How has OMSI been able to develop business practices to demonstrate your value state-wide, and how has philanthropy played a role in that? Erin: We really began to develop our strategies and the way we approach it through the CDC campaign. We held a lot of listening sessions within Newport, Oregon. Unlike our other camp which is in a very rural, remote area, this camp is in a community. We needed to get to know that community. We learned at first that there is the impression that we were this big Portland institution, and we were just granted land there to do our thing. What we came to understand was the value and power of listening. 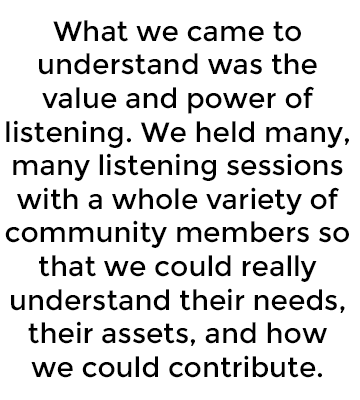 We held many, many listening sessions with a whole variety of community members so that we could really understand their needs, their assets, and how we could contribute to what was already this rich network of marine science and educational programming in that community. We are now, as part of a broader state-wide outreach campaign, setting up listening sessions throughout communities in the state of Oregon. Though we aren’t trying to raise money in those communities, we really want to understand what they value, where they see the future of their communities, and to work with them to adapt our programming or sometimes even develop new programming. This is going to be a long-term and continued focus for OMSI. We really learned through the CDC campaign that you can’t skip over the listening. Aggie: As we reflect back on the CDC campaign, what are you most proud of? Erin: I am most proud of the amazing coalition of people that came together to do something really challenging and did it. I think there was almost like a courage that OMSI had to find in itself at every level of the organization: leadership, Board, staff. When we were successful in doing that, it really did change the conversation around philanthropy at this organization. It also changed the belief about the scope and scale of our impact that we could have over time and that we could take on these really hard things and figure out how to do them. Since that time, we have implemented a new 20-year vision and five-year plan. We are about 2.5 years into the five-year plan, and it is amazing to me the things we have managed to accomplish so far. I think it comes back to that courage. Aggie: Finally, do you have any advice for other nonprofit leaders who are contemplating taking on something big—likely that would include fundraising—to accomplish the vision? Erin: I think what would have been helpful for us at the beginning would have been to get really clear on our case statement—even earlier than we did. 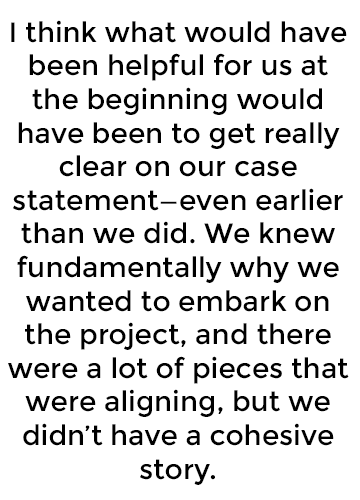 We knew fundamentally why we wanted to embark on the project, and there were a lot of pieces that were aligning, but we didn’t have a cohesive story. When we first convened our feasibility study group to help us through that and when we first convened the campaign cabinet, we did not have all of the case messaging really nailed down. We gained momentum collectively when we were clear on the messaging.